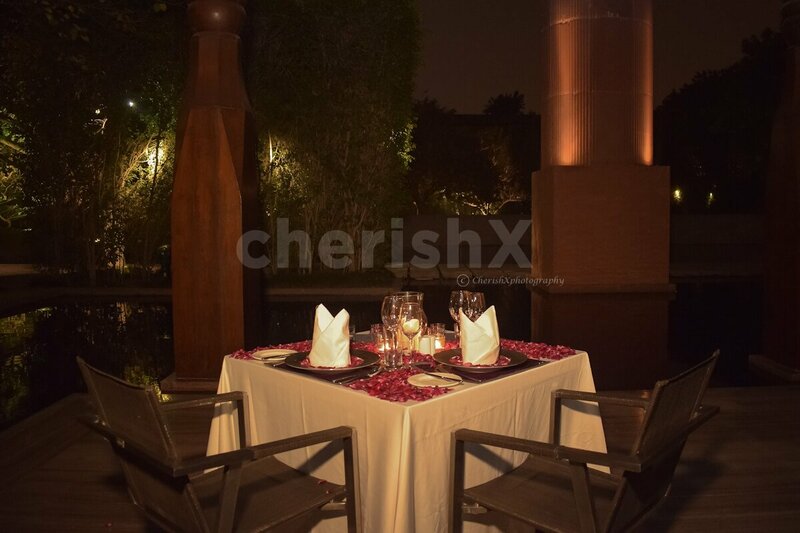 Outdoor seating near the water body with 4 course meal, cake, bouquet and a romantic candlelight setup. 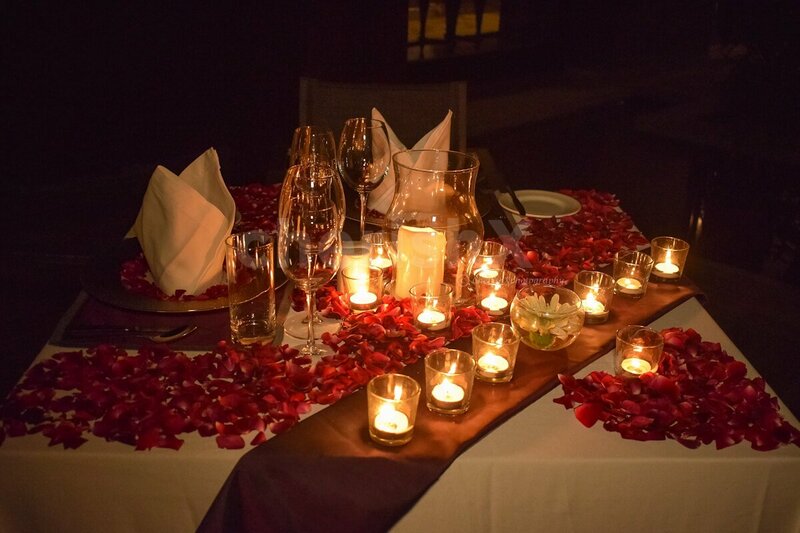 Are you planning a romantic outdoor dinner date with your betterhalf? You landed up at just the right place luckily. We suggest you an alfresco dinner at one of the finest restaurants that has an European edge- both in terms of cuisine & fine dining experience. 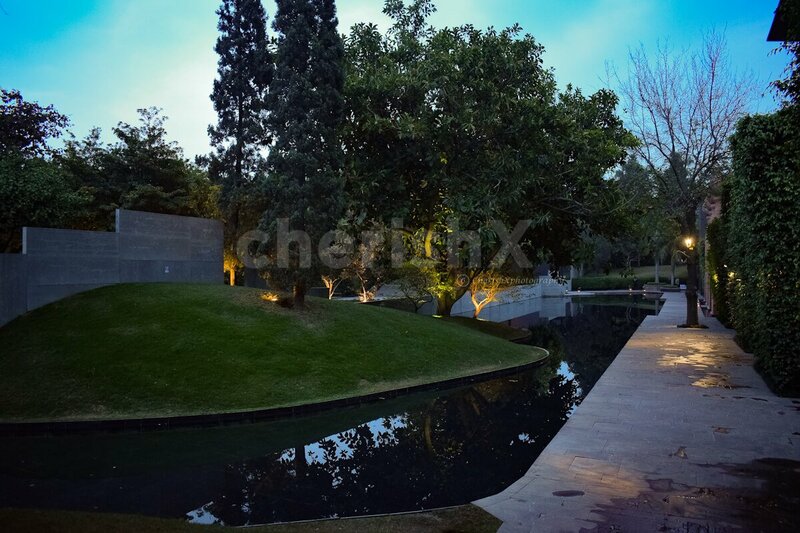 Surronded with water bodies, it also offers Indian & Thai cuisines. 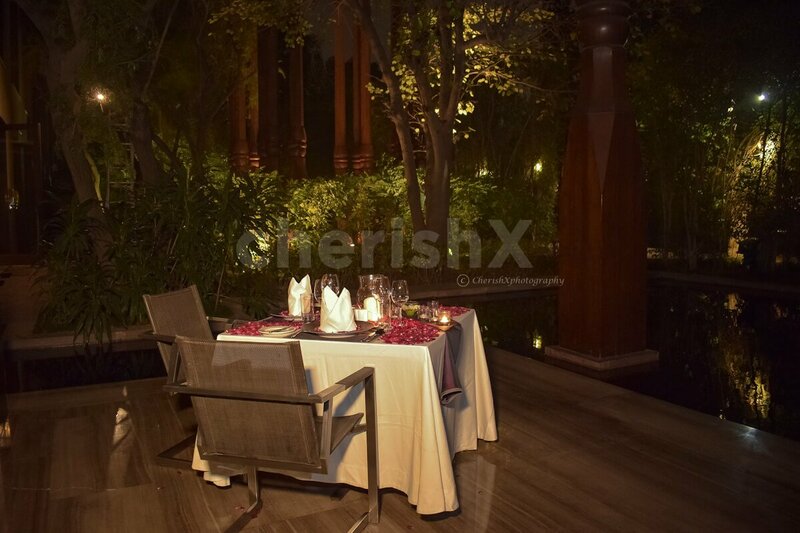 This place is a delight for people looking for premium dining options in Delhi. It has a quiet & calm ambiance with superb view & architecture.Enjoy a candlelight dinner alongside waters with delicious food in the best company of beloved. 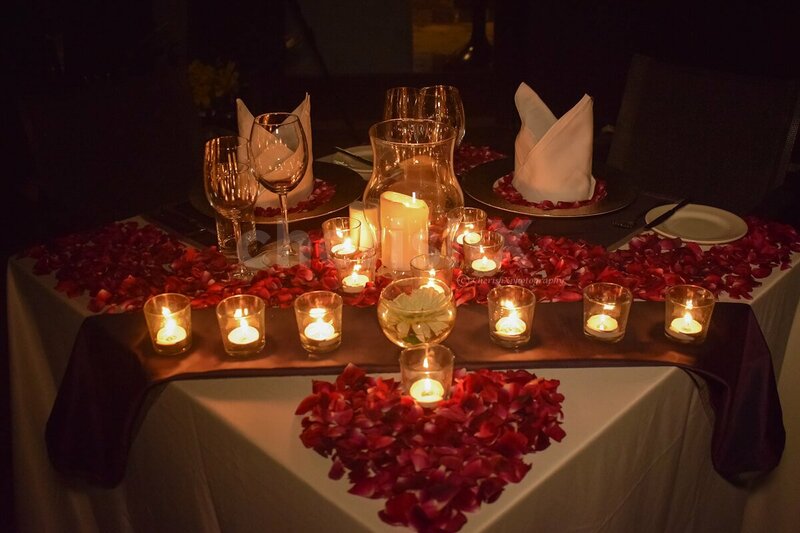 The experience consists of decorated tables with candles & rosepetals, 2 welcome mocktails for couple & a 3 course meal (to be chosen from `ala carte menu). The ambiend music at the backdrop will make it even better. If you are planning for a Valentines dinner, proposals, an anniversary celebration or even if you wish to spend some quality time with your betterhalf then this is the place guys! 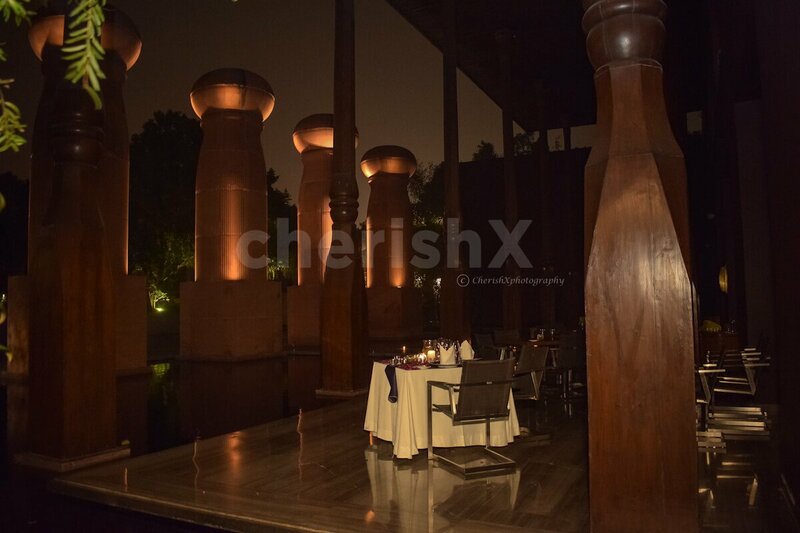 A fine dining restaurant inside Roseate which litterally stands on a water bed with huge pillars standing tall by it's side.All this speaks of luxury & indulgence with a lot of quality time of togetherness. Step up the experience with amazing customisations like a photographer, private guitarist, cake or even a rose bouquet!